Ralph Kirshbaum, Artistic Director of the Piatigorsky Festival, describes his emotional first performance with the Montagnana and why he’s been faithful to it for over 40 years. I’ve owned the Montagnana since 1973. I had some very generous backers who wanted to help me acquire a great instrument. So I let that be known to Jacques Francais, the major dealer in North America at the time. He had a Montagnana in his shop in the fall of 1971, and I tried it but it just didn’t feel right physically. The next fall Jacques sent me a message to say that he had another Montagnana and this might be ‘the one’. I played it in his shop and it was a totally different experience. I said, ‘Gosh this is an incredible instrument. I’m going to Texas to see my parents for the holidays and after that I have a tour for two weeks and I’d love to take it on tour.’ He agreed, so I went home, but on January 7 my mother had a stroke and died. I was due to go back East and play a concert in New Haven, Connecticut, where I was a student, and where my mother was born and raised. We were all shattered and I was on the fence about whether I could play this concert, but in unison my family said ‘you have to play’ and that gave me the strength to play the concert. 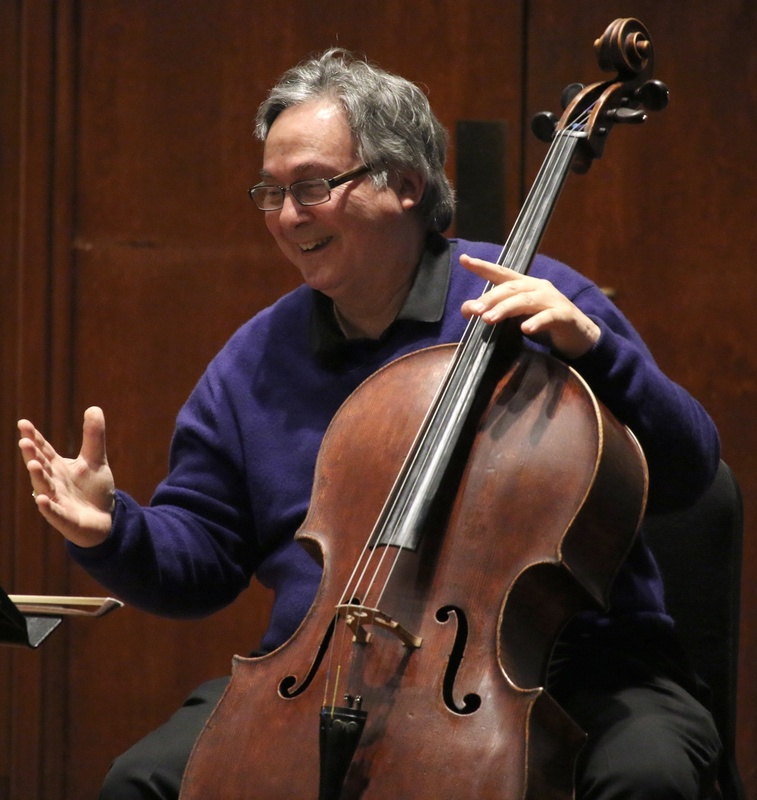 I was playing the Elgar, the most elegaic concerto in our repertoire, and I’m sure I’ve never given a more heartfelt performance of it than I did on that night – my first performance with the Montagnana cello. It was an incredible experience. Then I took the cello on tour and fell in love with it more and more. It was obvious that this was ‘the cello’. 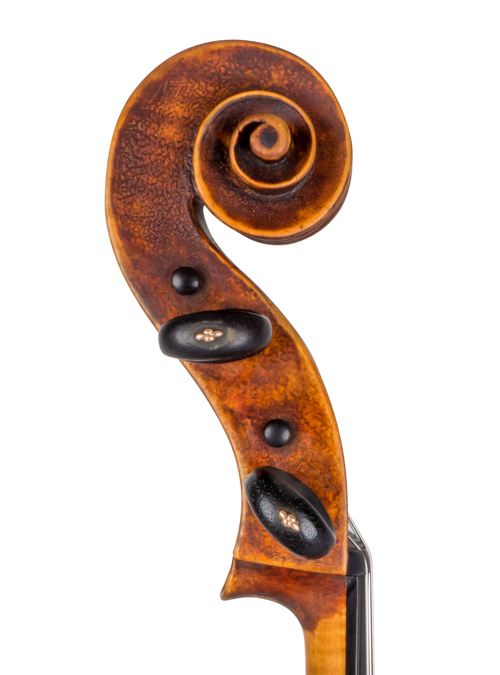 I’ve played many other cellos in my life – great Strads and other Montagnanas – which I can appreciate, but this is the one I love. To have found it and be with it all this time is the greatest fortune I could imagine. It’s gone through transformations of course. Five years later Rene Morel (the luthier in the shop of Jacques Francais) said there were things he’d like to improve about the cello, so he gave it a new bass-bar, a new soundpost and a new bridge. I remember when I first played afterwards it was so different – actually it was a little bit too shrill, too tenor. Before that the tenor part was the weak part, if there was a weak part, but he said, ‘Don’t worry, just play it; it’ll take six months, but just play it and it will settle down and you’ll see that the top of the cello is going to be like a Strad.’ If I missed anything in those first years that I had the cello, it was that the very top seemed a bit tight. And Rene was right, it was like a flower opening up. By month three I already felt the difference in the upper regions of the A string and by six or seven months the whole instrument had adjusted. I didn’t think the cello could be any better than it was. And that’s the way it’s been ever since. 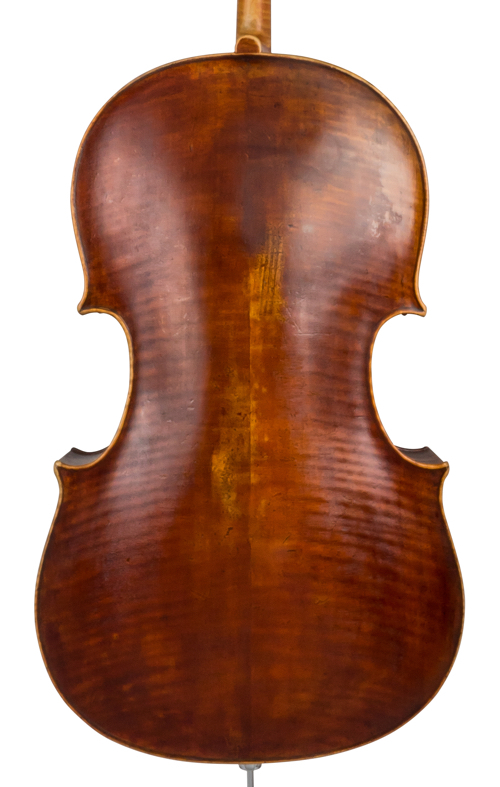 The cello was made in 1729 and it’s in wonderful condition. It’s one of the very few uncut Montagnanas. It’s not particularly long, but it’s very broad and the bouts are also very high. It does take quite a bit of physicality to play – it keeps my shoulders limber getting round it. Piatti played this cello, but I can’t get too excited about that as I believe he had three Montagnanas over his lifetime, so he wasn’t as loyal as I am! Then the Curtis Institute owned it from around the 1930s, and they sold it Janos Scholz, who was a Hungarian cellist living in New York. He sold it to an amateur player through Jacques Francais around 1970. The amateur had it for about a year but he realised that he couldn’t really play it – he couldn’t manoeuvre around it. So the Montagnana came back into Jacques’s possession and enter Ralph Kirshbaum – and the rest is history. 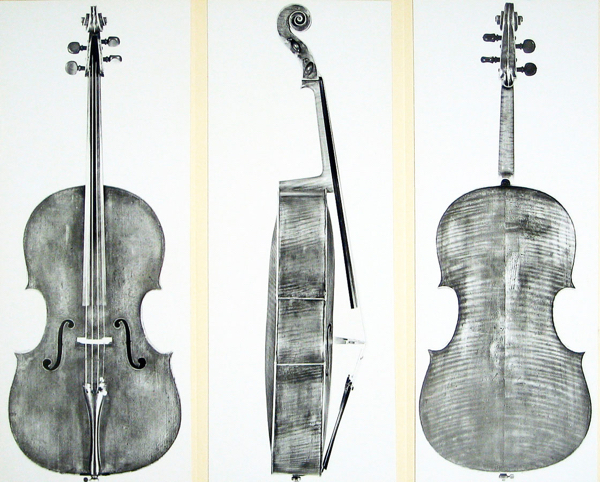 My other cello is a Panormo dated 1791 [this cello will appear in our forthcoming Panormo exhibition]. I use it if I’m playing chamber music concerts in the UK. I love playing it and it’s easier, in terms of the actual physicality of playing it, than the Montagnana. But on the other hand if you’re playing a big work, it doesn’t take what the Montagnana will take. The Montagnana is my first love – and unrivalled! Ralph Kirshbaum’s festival appearances include performing Bloch’s Schelomo at the opening concert on May 15 and joining the Emerson Quartet for Schubert’s Quintet in C major, D956 on May 17. My first acquaintance with the instrument dates back to the eighties of the last century, when it was in the hands of Signor Tignani, then resident in Ancona, Italy. I duly admired it, but, at the time, the Cello was not for sale. I subsequently learned that Signor Tignani had sold it somewhere in Germany, acquiring in its stead a still finer specimen. 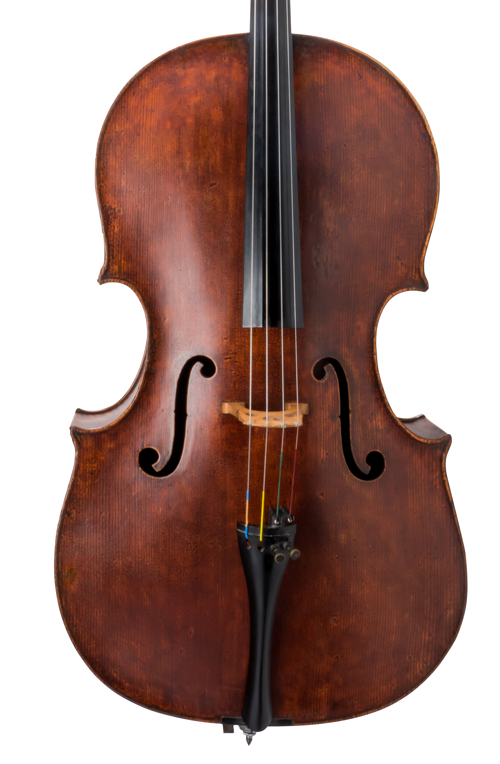 It was Piatti, the well known Italian cellist with whom I was staying on Lake Como, who gave me this information; he spoke eulogistically of the Cello and urged me to go to Rome to purchase it, for, the owner being dead, the instrument was being offered for sale by his sister. I… deferred to go to Rome… until the following year. On my arrival at Rome, I was shown the instrument Signor Tignani had bought to replace the one with which I was acquainted and to my surprise, I found that it was a “Gofriller,” the head only being the work of Montagnana. On pointing this out to Signorina Tignani, she told me that her brother not liking the head that was on the present Cello, had it exchanged for the one that was on his Montagnana. I bought the Gofriller and, by an extraordinary coincidence, came across its original head in Paris on my way home and was thus able to complete the instrument. It took me 35 years to track down the body of the Montagnana Cello and restore to it the head I had carefully preserved for this purpose. I have no doubts concerning the merits of this Montagnana and feel sure that the cellist who is privileged to play upon it will end by falling in love with it! All I would add to this: the instrument should be treated with the greatest care – yea, veneration, that it may be preserved for posterity!